Hormones after hysterectomy can experience some changes. Hormone replacement therapy should be used with medical advice and necessary cautions then. According to some research studies, intake of hormones after hysterectomy can increase the risk of certain health issues. This is the reason why a lot of women today are really interested in knowing if it is safe to consider hormone replacement therapy after total hysterectomy. The answer is yes. In fact, just a decade ago, hormone replacement therapy was routinely advised to every menopausal women. However, with advancements in the field of science, many research studies concluded that unregulated use of estrogen as part of some hormone replacement therapies can aggravate the risk of complications. But it is important to keep in mind that decision-making process is not that easy, since lack of estrogen due to natural or surgical (post-hysterectomy) is associated with several issues as well. Let's review the factors that are strongly associated with the use of hormones after hysterectomy procedure to alleviate the menopausal symptoms. Can Hysterectomy Causes Menopause Symptoms? 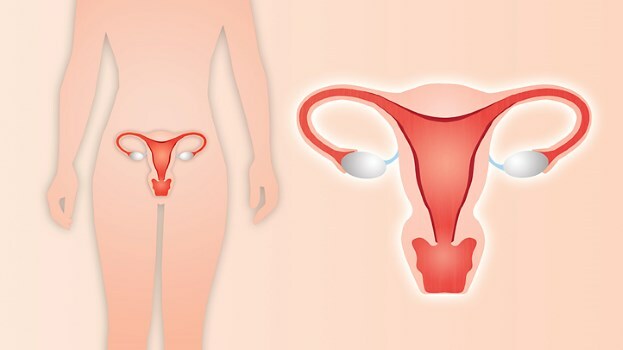 Hysterectomy (removal of uterus) or total hysterectomy (removal of uterus and associated structures) are specialized gynecological procedures that are advised by healthcare professionals to manage symptoms like dysfunctional uterine bleeding, fibroids, malignant lesions of uterus and other related condition. It is imperative to mention that neither of these procedures are responsible for a drastic change in the serum levels of estrogen. But it is logical to assume that some decline in the estrogen levels is observed with surgical removal of ovaries (which is often required if disease process has spread to ovaries such as in case of uterine cancers). The nature of procedure and type of surgical approach also plays a vital role in determining the decline in estrogen levels. For example, if only one ovary is removed, the remaining ovary can continue to produce sufficient quantities of estrogen. But if both the active ovaries are removed via surgical intervention, the female may enter in a menopausal phase. According to a new report published in the peer reviewed An International Journal of Obstetrics and Gynaecology, investigators suggested that more than 50% American female population undergoes abrupt premature menopause due to surgical removal of ovaries. Here are a few scenarios that may explain the intensity and onset of menopausal symptoms. Total hysterectomy: Total hysterectomy can initiate menopausal symptoms immediately after removal of ovaries. Gradual deterioration: If one ovary is removed, then other ovary will continue to produce some estrogen. The intensity of menopausal symptoms is usually less severe and takes time to develop. Oophorectomy: After this procedure of ovarian removal, females can experience symptoms like hot flashes, mood swings and vaginal dryness. Should You Take Replacement Therapy of Hormones After Hysterectomy? HRT or hormonal replacement therapy after hysterectomy is generally comprise of estrogen and progestin. These hormones are usually administered in combination but can be consumed alone, depending upon indications and risk-factor profile. These hormones are advised because the estrogen and progesterone producing organ (i.e. ovaries and uterus) are removed via hysterectomy. If both ovaries and uterus are removed, the female should consider estrogen replacement therapy; if only ovaries are removed, it is vital to consider a combination of estrogen and progestin, because only estrogen can aggravate the risk of cancer in uterus, and combining estrogen with progestin can reduce the risk of cancer development. After administration of estrogen and progesterone, the symptoms of menopause such as vaginal dryness are usually relieved. But it is possible that the amount of these hormones (and possibly some other hormones) produced in the body may undergo some changes. Females who are at high risk of developing breast cancer should avoid hormones after hysterectomy. Females with chronic liver disease are not ideal candidates for hormonal replacement therapy after hysterectomy. It is ideally recommended to consult your healthcare provider in detail regarding the indications, risks and concerns of hormone replacement therapy to confirm if you are a candidate for this therapy or not. Increased risk of developing heart diseases such as stroke, myocardial infarction, etc. Increased density of breast mass (which can be easily observed in mammogram), which can cause problems in detection of breast cancer. Do You Know the Function of Endocrine System?